Well maybe not, because despite what Eddie Cochran sang in the late fifties before his untimely death near Chippenham, it’s turning into another busy summer packed with website copy, client case studies, brochure copywriting and a great new regular blog-post writing gig for my old friends Gemini Translation Services in Keynsham, Bristol. Actually, you won’t hear a holler from the Gloucestershire Copywriter and the only fuss is how to juggle all the great copy coming my way. But the scorching weather here in Cheltenham did set me thinking about vacations and the importance of planning and taking regular breaks – whatever one does. For anyone in a pressured employed or freelance role, planning a great trip can seem like another unneeded stressor when you’re up to your ears in the daily grind. That’s where one of my local networking contacts, Lucy Thurston of Travel Counsellors, comes to your assistance – as she did brilliantly when we were planning a special three-week trip to Argentina, Chile and Brazil earlier in the year. Lucy, who is based in Cheltenham, takes your ideas (ranging from ‘here’s a detailed outline of what we want to do’ to ‘I haven’t a clue, I just need to get away’) and she sorts your trip out using her experience. 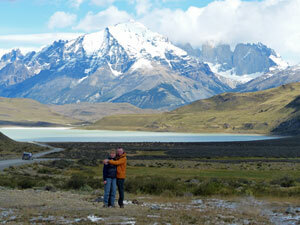 a network of experts and the backing of Travel Counsellors. Whether you fancy a budget flight and a hotel at the other end or a multi-week southern hemisphere adventure as we did, her organisational skills, customer care and access to a great travel organisation are second to none – and she organises trips for groups too. Lucy certainly knows travel and she’s a dream to work with. The beauty of using Lucy and letting her do what she does best is that you can get on with the day-to-day while she does all the legwork and puts a great trip together – with all the ATOL bonding and other reassurances you could need. I’ve even heard that she’s been known to leave milk and a loaf of bread ready for clients’ return. Now that’s what I call service (yes, Lucy is that good at what she does). Come to think about it, Lucy and I have more in common than just being members of the same networking groups. Like her, I free busy people up to do what they do best. I don’t arrange trips to Europe, the Americas or the Far East. Instead, I get copywriting off people’s to-do lists – the business writing for websites, PR and brochures that you don’t have the time, specialist skills or the inclination to do yourself. So book a great trip through Lucy, brief me before you go and take a well-deserved break while I write through our scorching summer. Then look forward to some sparkling copy on your return – and maybe a pinta and a loaf too! 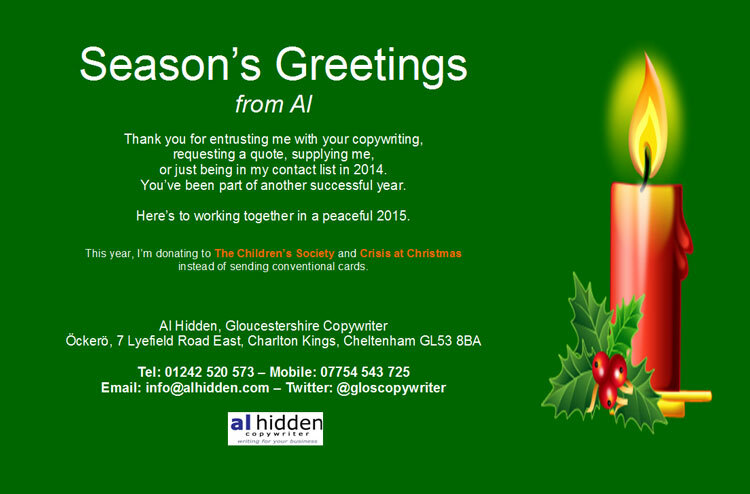 This entry was posted in Thank you blogs and tagged blog post writing, business writing, cheltenham copywriters, copywriters gloucestershire, eddie cochran, gemini translation, holiday planning, lucy thurston, summertime blues, travel agency cheltenham, travel consultant cheltenham, travel counsellors on July 24, 2014 by alwrites. The selfie is dead – long live the shelfie! According to a recent piece in The Guardian, selfies may have been the thing in 2013, but pictures of bookshelves are now much more interesting. Others are already on the shelfie bandwagon (or should that be bookshelf?) started by Instagram, including Radio 2’s Simon Mayo and the New York Public Library. As part of my continuous professional development, I read a lot around copywriting, web and SEO copywriting, PR writing, technical communication, branding and other topics relevant to my craft. 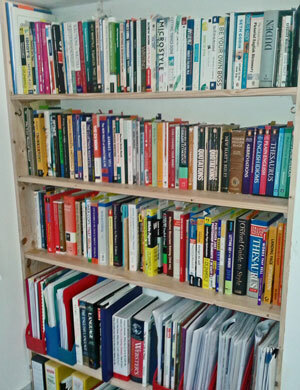 So here’s part of this Cheltenham copywriter’s reference library – my reference shelfie. It’s the perfect complement to over 30 years’ practical, real-world experience in sales, marketing, technical writing, PR, and of course in-house and freelance copywriting. Now, please tell me about the most useful writing books on your reference shelf. This entry was posted in Copywriting Resources and tagged branding, charity copywriting, cheltenham copywriter, cheltenham copywriters, copywriters gloucestershire, copywriters in cheltenham, new york public library, pr writing, radio 2, selfie. freelance copywriter, seo copywriting, shelfie, simon mayo, technical communication, the guardian, writing books on May 12, 2014 by alwrites. I saw a neat combination of cardboard engineering and copywriting while in Argentina recently and thought I’d share it with you. 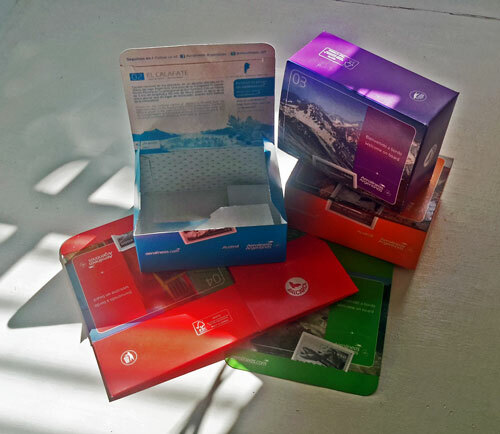 We made several internal flights with Aerolinas Argentinas and got used to their little in-flight snack boxes. The cleverly engineered containers tick all the boxes. They flatten for distribution, fold into shape easily for filling with tasty treats and carry interesting snippets of information about several top tourist attractions in Argentina. Aerolinas Argentinas even have a Facebook page about them. It would have been so easy just to make a colourful box for the snacks. But what somebody has done here is to think about how they can use the box to inform and entertain passengers – as well as plugging the airline. It’s an intelligent use of packaging copy. In fact, it got me thinking that I wouldn’t mind being associated with a copywriting project like this one. I knew the years I spent in packaging in the 1990s would come in useful one day! I say good for Aerolinas Argentinas – and they were a much better airline than I had expected – and well-done to the designer chappie (or ‘chappess’) who came up with this somewhere in Argentina. 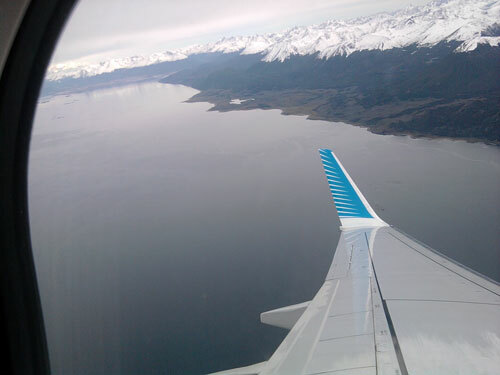 This entry was posted in Copywriting ideas, Uncategorized and tagged aerolinas argentinas, airline catering, airline food packaging, airline snack boxes, airline snacks, argentina, cardboard engineering, cheltenham copywriters, copywriters gloucestershire, in-flight snacks, packaging copy, packaging copywriter, packaging design on April 16, 2014 by alwrites.